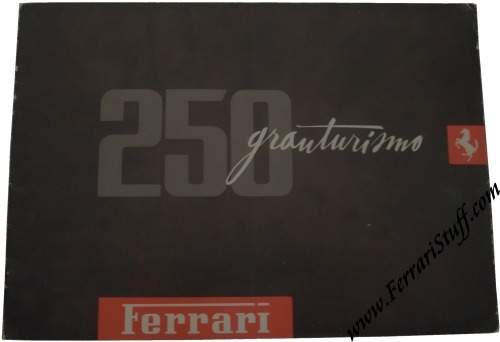 Ferrari factory original vintage 1958 Ferrari 250 Granturismo Series: 250 Pininfarina Cabriolet Series 1, 250 Boano and 250 Tdf Sales Brochure in German Merritt Page 155. The Merritt reference of the is page 155. It measures some 12.25 x 8.5 inches and contains 12 pages. Very good condition but with some shelf wear to the cover but nothing worse than what you will usually find on these brochures. 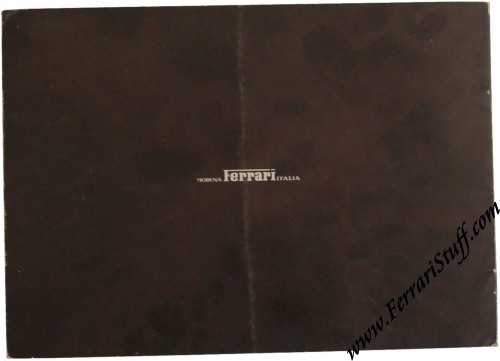 It has been vertically folded in half as was Ferrari's usual practice at that time when sending such brochures to interested parties... The envelopes they had were simply too small!